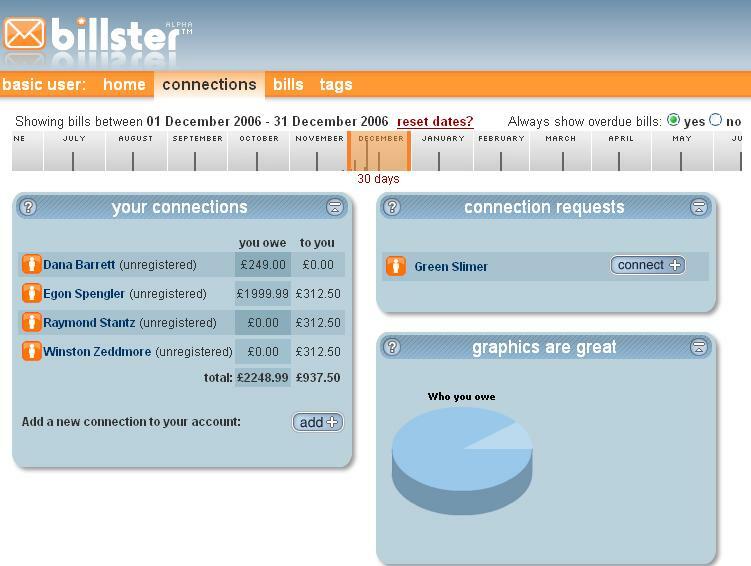 Billster is another site that helps you organize your finances. It's not as socially oriented as Wesabe, but it does have a Connections panel that keeps track of who you've had transactions with. 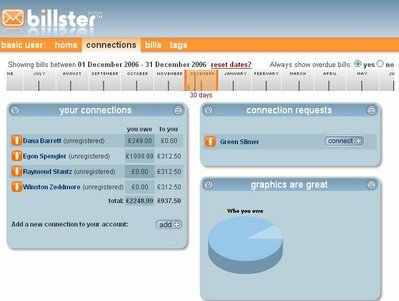 Helpfully, Billster will send invite emails to your friends if you include their address when you add them. Under the Bills tab, you can add personal expenses, group expenses, what's owed you, and what you owe. You can also tag your bills. A weakness is that, unlike Wesabe, you can't import your data directly from your bank. Manually entering your transactions data will probably get tiring although you can mark recurring payments as such, which reduces the burden slightly. 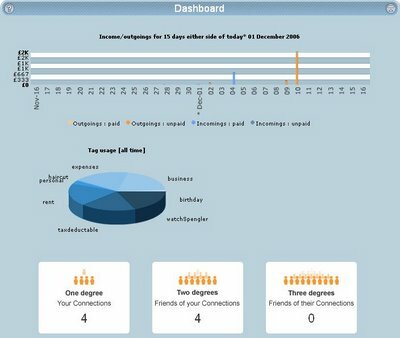 The interface is similar to the one you use when doing e-banking (making single/recurring payments, etc.). 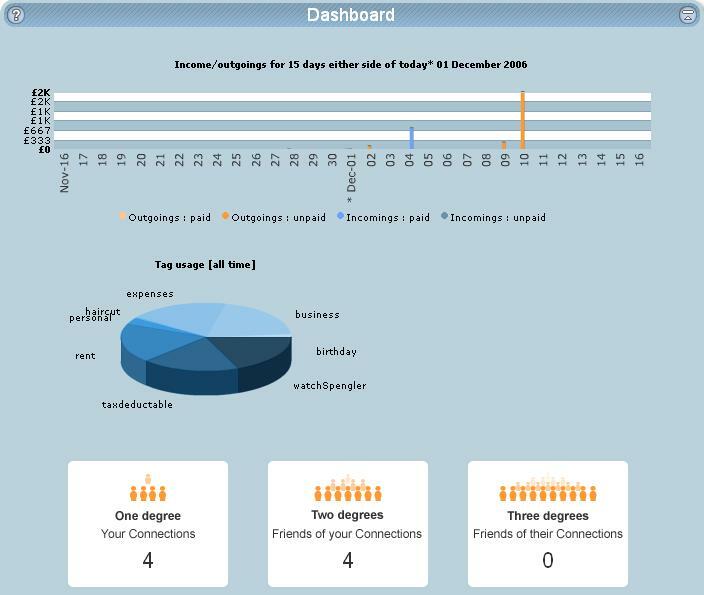 The most helpful screen is the Dashboard where you can visualize the flow of cash in and out of your account. If you use tags carefully, you can also get a sense of the relative proportions of your spending. Do you spend a lot on haircuts? How much of your income goes to rent? There's also a half-baked six degrees-ish graphic that shows how many connections you have, how many your friends have, and so on. Maybe more social features will be added soon, and this feature will have added significance. Once financially oriented sites start appearing, it's usually a sign that the market is maturing. I suspect we'll see several more popping up soon. Certainly, there have been a fair number of social stock-picking sites launching recently along with impressive rallies in the market.